Thorin Oakenshield (Richard Armitage), his mighty band of dwarves, Bilbo Baggins (Martin Freeman), and wise wizard Gandalf (Ian McKellen) embark on a crusade to reclaim Erebor from the vicious dragon Smaug (voiced by Benedict Cumberbatch) in this sweeping fantasy adventure that picks up where the events of The Hobbit: An Unexpected Journey left off. With 2013’s The Hobbit: The Desolation of Smaug, we find the second chapter in a three-part saga. A quick prologue reintroduces us to dwarf leader Thorin Oakenshield (Richard Armitage) and wizard Gandalf (Ian McKellen) as they discuss a plan to reunite various dwarf clans and reclaim long lost treasure. …which we watched in 2012’s The Hobbit: An Unexpected Journey. After the prologue, we catch up with Thorin, Gandalf, additional dwarves and Bilbo Baggins (Martin Freeman), a hobbit brought along as the thief who will help them steal the Arkenstone. We find them part of the way to their destination. The movie follows the adventures they experience along the way and what happens when they finally encounter Smaug. As I mentioned when I reviewed Journey, I never read The Hobbit, so while I know that the film expanded the source novel quite a lot, I can’t recognize the changes myself. I do get the impression that director Peter Jackson substantially altered the book’s tone, though. From what I hear, I get the strong feeling Jackson has worked overtime to make Hobbit more “epic” and more like Lord of the Rings than it was on the printed page. Whether or not this was a good decision remains up to the individual, of course, but it does make the Hobbit films feel a bit like remakes at times, as Jackson plays up the similarities between the tales and accentuates a much heavier drama than appears to exist in the Hobbit novel. One of the biggest complaints leveled at Jackson’s Hobbit adaptation relates to the length of the films. 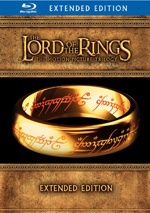 Taken together, the three Rings movies ran a total of about nine hours, 15 minutes, and that made sense given the source, as the original novel filled almost 1200 pages. On the other hand, The Hobbit offered a much shorter text, as it used a mere 300 pages. Assuming that 2014’s There and Back Again runs about the same length as its two predecessors, the three Hobbit films will clock in around eight hours total, which may seem excessive for a series based on a book barely one-fourth the length of Rings. As mentioned, this meant Jackson needed to use a variety of other Tolkien sources – and some of his own invention – to expand the Hobbit films, and Desolation appears likely to be the chapter to suffer most from this. Desolation finds itself stuck in the difficult “middle chapter” stage. Journey focuses on the majority of the trilogy’s character and story exposition, while Back Again will boast the drama inherent in a finale. This leaves Desolation as a film with potential to feel like a “holding pattern” tale. It lacks the freshness of a first chapter and the finality of the last segment, so it needs to find other ways to keep us involved. Desolation does this partly with more action than its predecessor, as it ratchets up the battles after the more story/character-oriented Journey. It also expands into the world of the elves, where we find an unusual love triangle among dwarf Kili (Aidan Turner) and elves Tauriel (Evangeline Lilly) and Legolas (Orlando Bloom). That segment feels like the most groan-inducing – to me, at least. While Jackson pulls off the romantic overtones with reasonable aplomb, they can seem as contrived and tacked-on as they are. Legolas never appeared in the Hobbit novel, and Tauriel didn’t exist in Tolkien’s world at all; Jackson and company invented her for this series. Does the movie need these elements? Not really, and the love triangle can come across like sop for the teen girls in the audience, as it gives them the chance to moon over two of the more handsome actors in the series. Unnecessary as the romance may be, at least it gives us the occasional break from the movie’s action and allows for a little introspection. Smaug definitely delivers more fights and mayhem than Journey, and maybe a little too much at times. It can feel like Jackson doesn’t know how to fill the time with narrative elements so he throws in theatrics to keep us involved. While that occasionally seems true, I do think the action scenes offer a lot of fun. Sure, they can be silly and over the top – Jackson never tires of scenes with dwarves in various states of goofiness – but these moments tend to deliver enough fun and pizzazz to make them worthwhile. Perhaps the biggest problem with Desolation stems from its middle act, which threatens to sag. Our characters wind up in Lake-town, a burg once terrorized by Smaug. This takes the movie down less than enthralling paths and leads it to drag a bit. Still, the battle with Smaug brings the goods, though it comes without a real finale. To a degree, this doesn’t surprise; with another chapter left to tell, I don’t expect Desolation to offer a true conclusion. However, Journey and the first two chapters of the Rings trilogy ended at places that let them seem like stand-alone tales to a large degree. Sure, we knew we had more to come, but we didn’t feel like we’d been left hanging in an extreme manner. Desolation alters that template, as unlike its predecessors, this one finishes with a cliffhanger. I won’t spill any beans, of course, as I like to avoid spoilers, but I will say that the film’s abrupt ending came as a surprise. After all those prior films, I had no reason to expect a finish of this sort, and it may leave the viewer less satisfied than otherwise might be the case. That issue aside, I think Desolation continues the series in a reasonably winning manner. Like the first chapter, this one comes with flaws, and I can’t disagree with those who feel The Hobbit might’ve been better served by a shorter telling, but I like the movie and look forward to its conclusion. 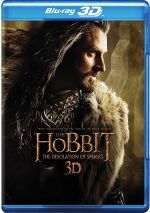 The Hobbit: The Desolation of Smaug appears in an aspect ratio of approximately 2.40:1 on this Blu-Ray Disc. Expect terrific visuals here. No issues with sharpness materialized. The movie always appeared concise and accurate, without any hints of softness on display. I saw no signs of shimmering or jagged edges, and edge haloes failed to mar the presentation. Print flaws never appeared in this clean image. Like all of Peter Jackson’s other Tolkien films, Desolation opted for heavily stylized colors. This one tended toward a more desaturated look, largely to fit the somber circumstances in which the characters find themselves. Within the movie’s choices, the hues looked full and well-developed, and the colors showed good pep when necessary. Blacks looked dark and tight, and low-light shots demonstrated nice smoothness and clarity. Everything here looked virtually flawless. I also felt happy with the dynamic DTS-HD MA 7.1 soundtrack of Desolation. With tons of action, the mix boasted plenty of chances to bring the various channels to life, and it did so well. Various battle elements moved around the room in a satisfying manner, and these created an excellent sense of place and life. The climactic dragon-related sequences fared best of all, as they filled the spectrum with lively material, but the whole movie came packed with vivid audio. Quality soared as well. Speech remained natural and concise, without edginess or other issues. Music sounded vivid and full, and effects followed suit. Those elements always appeared accurate and dynamic, with clean highs and deep, tight lows. The soundtrack fit the movie well and added to the action in a compelling manner. As was the case with the three Lord of the Rings films and Unexpected Journey, we’ll get an extended cut of Desolation with copious extras later in 2014. That doesn’t mean the theatrical Blu-ray lacks bonus materials, though. This package includes both 2D and 3D versions of Smaug. The picture quality comments above address the 2D edition, but I also want to touch on the 3D image. In terms of quality, it didn’t match the splendors of the 2D presentation but it still looked very good. Sharpness remained positive, and colors were pretty solid. The image was a little darker than the 2D but it continued to show nice delineation. As for the use of 3D, it tended toward a sense of depth. We get occasional “in your face” elements – like a large bee that flies at the camera – but usually the film opted for a more natural sensibility. It succeeds in that regard, as the movie takes advantage of the added dimensionality of the format while it avoids an annoying gimmicky feel. This becomes a satisfying 3D rendition. A featurette called New Zealand: Home of Middle-earth, Part 2 runs seven minutes, 11 seconds and provides notes from supervising location manager Jared Connon, DP Andrew Lesnie, producer/director/co-writer Peter Jackson and actors William Kircher, Stephen Hunter, Martin Freeman, Adam Brown, Mark Hadlow, Graham McTavish, Richard Armitage, Peter Hambleton, Jed Brophy, Mikael Persbrandt, Dean O’Gorman, Ian McKellen, Luke Evans, and Evangeline Lilly. Like “Part 1”, the program gives us some info about the sets and locations used for the film. Also like its predecessor, this comes across like a promo from the New Zealand Board of Tourism, but it still manifests a few good nuggets. A collection of clips called Peter Jackson Invites You to the Set fill a total of 40 minutes, 36 seconds. In these, we get comments from Brown, Kircher, McTavish, Persbrandt, Brophy, Freeman, O’Gorman, Hadlow, Evans, Hunter, Jackson, 2nd 2nd AD Byron Darling, art director Brad Mill, production designer Dan Hennah, senior prosthetic makeup artist Katy Fray, script supervisor Victoria Sullivan, picture doubles Simon Smith and Hayden Weal, key grip Tony Keddy, gaffer Reg Garside, dolly grip Dave Shaw, conceptual designers Alan Lee and John Howe, Weta Workshop creative director Richard Taylor, editor Jabez Olssen, caterers Jessie Malchik and Zach Farnes, NZ casting director Miranda Rivers, grip Conrad Hawkins, visual effects supervisor Eric Saindon, 3D camera supervisor Gareth Daley, lead data wrangler Siobhan Durkin, craft service’s Samuel Page, Weta Workshop supervisor Rob Gillies, Weta Workshop technician John Harding, stunt performers Patrick Morrison and Tom Cotton, production manager Brigitte Yorke, construction manager Colin Davidson, and actors Stephen Fry, Orlando Bloom, Lee Pace, John Bell, and John Callen. One oddity about “Invites”: despite its title, we hear few comments from Jackson and don’t even see him all that much. Instead, the program takes through a typical day on the shoot; it starts before daylight and goes well past dark as we watch a mix of departments at work. It doesn’t become a real “making of” show but it offers a nice glimpse behind the scenes. Four Production Videos occupy a total of 36 minutes, 41 seconds. These provide additional glimpses of the set and include remarks from Jackson, Connon, O’Gorman, McTavish, Brown, Mullane, Lilly, Bloom, Evans, Saindon, Pace, Freeman, Brophy, Hadlow, Fry, Yorke, transport manager Glenn Shaw, construction manager Norm Willerton, art department manager Chris Hennah, stunt coordinator Glenn Boswell, makeup and hair designer Peter King, extras casting director Victoria Beynon, post production supervisor Josh Levinson, previs artist James Willingham, 2nd unit director Christian Rivers, boom operator Corin Ellingford, stand-ins Jamie Haugh and Hayden Weal, creative art director Gino Acevedo, location manager Matthew Gordon, animation supervisors David Clayton and Eric Reynolds, FX supervisor Kevin Romond and Ronnie Menaham, additional re-recording mixer Gilbert Lake, re-recording mixer Christopher Boyes, composer Howard Shore, NZ score coordinator Kate Mulligan, recording/mixing engineer Peter Cobbin, 2nd assistant editor Greg Daniels, orchestrator/conductor Conrad Pope, principal trombone David Bremner, double bass Malcolm Struthers, associate principal trumpet Cheryl Hollinger, principal harp Carolyn Mills,sub-principal 2nd violin David Gilling, concertmaster Vesa-Matti Leppanen, principal timpani Laurence Reese, score editor/mixing Kirsty Whalley, principal flutist Bridget Douglas, and actors Mark Mitchinson and Ryan Gage. Created as Internet blogs to promote the movie, the “Videos” follow in the same vein as the material from “Invites”. This means we see slices of the production such as 2nd unit, creature design, effects, music and other elements. These turn into a good way to see a bit more of the shoot. Next comes a Music Video for Ed Sheeran’s “I See Fire”. It mixes shots in the recording studio and movie clips. It’s low-key as can be and pretty forgettable. Under Live Event: In the Cutting Room, we get a 37-minute, 52-second piece. This takes us to March 25, 2013 and comes hosted by actor Jed Brophy. He meets up with Peter Jackson and we take a tour of the studio before we wind up in the editing bay with Jabez Olssen. The program also includes a few quick greetings from actors Luke Evans, Stephen Fry, Orlando Bloom, Lee Pace, Billy Boyd, Dominic Monaghan and Evangeline Lilly. We also get a special visit – and super-nerdy question – from Stephen Colbert. Mostly the “Event” deals with questions asked by fans, and those make it fairly interesting. The queries get into some good aspects of the production and follow paths not usually traced in behind the scenes programs. Given that the “Event” was another promotional piece, it doesn’t spill a ton of beans, but it becomes enjoyable. Finally, we get various Trailers. We find three ads for Desolation as well as promos for the Unexpected Journey Extended Edition and video gamesThe Hobbit: Kingdoms of Middle-earth and Lego The Lord of the Rings. Note that the 3D version also includes four trailers. It gives us 3D “teasers” and theatrical ads for both Unexpected Journey and Desolation of Smaug. We also get a DVD copy of Desolation. This provides the movie and the “Home of Middle-earth” featurette but none of the other extras. As the second chapter in a trilogy, The Hobbit: The Desolation of Smaug does fairly well for itself. Though the tale can drag and feel padded at times, it still packs enough adventure and drama to make it an enjoyable experience. The Blu-ray provides excellent picture and audio along with a pretty good set of bonus materials. Desolation continues the series well.